Do you know that the Kenai Peninsula Borough School District is a leader compared with schools throughout North America in facing Fetal Alcohol Spectrum Disorders (FASD)? We are working to increase our capacity to successfully deal with the many challenges faced by students with FASD. This fall we are taking another giant step forward by also taking a lead in awareness and prevention of FASD. FASD awareness day started on 9/9/99 to remind everyone that a woman can remain alcohol fee for all nine months of pregnancy. Proclamations are issued in countries, states, provinces, and towns all around the world. Bells are rung at 9:09 a.m. in every time zone from Alaska to New Zealand. People all around the world gather for events to raise awareness about the dangers of drinking during pregnancy and the plight of individuals and families who struggle with Fetal Alcohol Spectrum Disorders (FASD). • No amount of alcohol is safe to drink anytime during pregnancy. • Alcohol is poison to a developing baby and permanently damages whatever part of the baby that is developing when a pregnant woman drinks. • Alcohol is a solvent, like paint remover, to a developing fetus. One single glass of wine dissolves 10,000 cells in the developing baby’s brain. 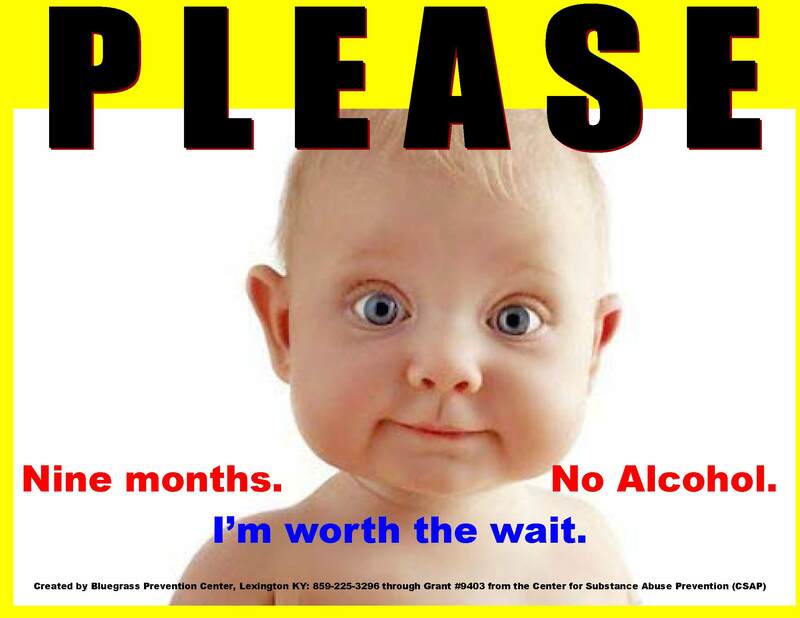 • The damage done to a developing fetus by alcohol cannot be undone. It is permanent. • Alcohol is more damaging to a developing baby than even heroin or cocaine. • The single biggest factor influencing whether or not a pregnant woman drinks alcohol is having a husband or partner who will stay sober with her for the entire pregnancy. • If a woman finds that she is pregnant and has been drinking some alcohol, her baby will be healthier if she stops drinking. • If you are pregnant, don’t drink. If you drink, don’t get pregnant. At 9:09 AM, on 9/9, is when FASD is recognized throughout the world. “Everyone has a part they can play in preventing FASD, and to remember the importance at the school level of understanding the impact of this invisible disability,” said Clayton Holland, director of KPBSD pupil services. “The CDC estimates that 2% to 5% of the total population is impacted by FASD. If we apply that percentage to the KPBDS we would have close to 400 students who are impacted, with many of them not being identified with FASD, but likely having significant struggles in the classroom and at home. Last year the district formed an FASD “Think Tank” to help guide the district’s next steps in addressing the many challenges that come with FASD. The FASD Think Tank determined a need to focus on continuous on-going training and resources for teachers, school and community outreach to prevent future FASD, and the development of resources for students impacted by FASD to understand how their disability impacts them and what resources they have available to them. We have also offered college credit training opportunities as well as presented for school staff at regular staff meetings and in-service days. Finally, In order to help our families and communities better understand FASD, we have established parent support groups in the communities of Seward, Homer, and in the Central Peninsula. This entry was posted on September 8, 2015 at 6:59 pm. You can follow any responses to this entry through the RSS 2.0 feed. You can skip to the end and leave a response. Pinging is currently not allowed.